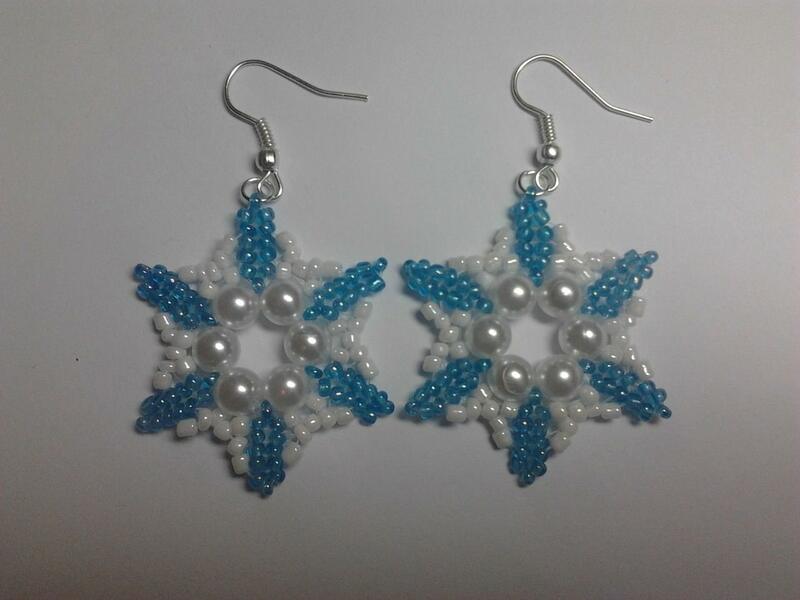 Master-class from beads: earrings "Forget-me-nots"
The master class from beads describes and shows on the photo the process of creating jewelry from beads with your own hands, we make earrings. We type on the thread 5 blue crystals, alternating them with gold beads. We link everything in a circle. We leave the needle from any crystal. We put on a pink crystal. We go into the next blue crystal. Between all the blue crystals we weave pink crystals. We leave from a pink crystal. We put on 5 blue crystals. We enter the same pink crystal. It turned out a blue flower. We leave in the next pink crystal and dial 5 blue crystals. We weave flowers along the whole circumference. We leave from the first lower blue crystal. We collect a pink crystal, a gold bead, a pink crystal. We enter the first lower crystal on the next flower. So we connect all the flowers along the entire circumference. We leave the gold beads. We type 7 beads of gold. We enter the same gold, but on the other hand. We make a loop for the schwenze. Flatter the second earring. We put on the schwenzy. A new decoration is ready. Such gentle blue flowers all year round will not lose their freshness and add to your attractiveness. Master class on knitting monkeys with amigurum crochet for beginners with step-by-step description and photo.